As you read this, you might be thinking “Hey that’s cool, but I don’t plan on conducting a raid anytime soon, so what does this have to do with me?” I’m glad you asked, because as it turns out, the hard-earned skills that Green Berets acquire during their careers of service apply very directly to everyday life and work. And we at GORUCK, are happy to share them with you. Every GORUCK event is led by a decorated combat veteran of Special Operations and is designed to make you tougher, smarter, and more capable when life demands it most. Whether you’re a soldier, teacher, firefighter, accountant, or tattoo artist, you’ll walk away better prepared to survive and thrive in any environment. Green Berets are physically fit. No question about it. But, performing well in the gym or on the track doesn’t cut it in combat - or in life. A combination of fitness, mental toughness, and the ability to work together, is what gets a team through the mountains, onto the objective, and back home safely. The Challenge, our original event, is modeled after a day of Special Forces training. You’ll be pushed to your limits and beyond, but you won’t do it alone. The Cadre’s job is to forge the class into a cohesive group that is capable of accomplishing a mission that requires teamwork, leadership, and communication. If you show up physically fit, that’s great, but I’ve never met a person that could carry a telephone pole or a Zodiac boat by himself. If you want to go fast, go alone. If you want to go far, go together. 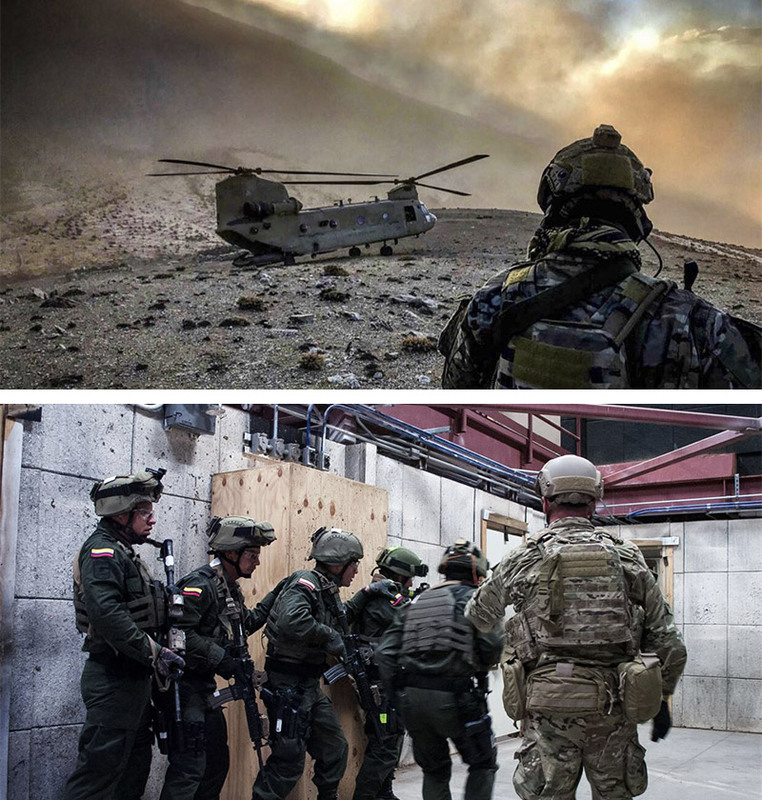 A Special Forces team can be assigned a mission in virtually any imaginable environment. In the span of a year, one team may find themselves teaching boat ops in the Philippines, setting up intel networks in an urban capital city, and rucking through mountains of Afghanistan. And if the operation goes bad (and eventually it will), they’ve got to be prepared to navigate, evade, survive, and continue the mission. You may not be deploying to a combat zone anytime soon, but a natural or man-made disaster can show up at your doorstep at any time. When it happens, will you be prepared? Will you be in need of assistance or providing it? Be it urban, water, or wilderness, our Survival Series events will not only teach you the skills you need to survive, they will impart a mindset that will make you an asset to those around you. If you want to learn hard skills and become a hard target, look no further. Green Berets train their partner forces on a wide range of skills, but none more frequently than firearms. Special Forces soldiers are experts at instructing weapons handling, tactics, and marksmanship. The country, climate, and type of weapon may change, but the fundamentals always apply. It’s our sincere hope that you never have to use a gun to defend yourself or your family, but if the scenario ever develops, we want you to do it confidently and competently. Our cadre have trained everybody from foreign militias to special operators. If you want to be safe and proficient with your firearm, GORUCK’s Firearms training will absolutely get you there.